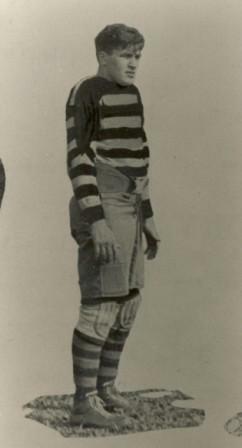 John Ferraro was a terrific all-around athlete when Hamilton secured him after his Cornell University days. in football, he excelled as a punter, place kicker, quarterback, and fullback. Ferraro was selected to the all-star team every year he played, and was presented with the Imperial Oil Trophy as the Most Valuable Player in the ORFU. Lew Hayman included Ferraro on his All-Canadian Team of the past ten years in 1942. Ferraro was an inspirational coach who brought out the best in team and individual play.